The Zookeeper's Wife - Description | W. W. Norton & Company Ltd.
After their zoo was bombed, Polish zookeepers Jan and Antonina Zabinski managed to save over three hundred people from the Nazis by hiding refugees in the empty animal cages. With animal names for these "guests," and human names for the animals, it's no wonder that the zoo's code name became "The House Under a Crazy Star." 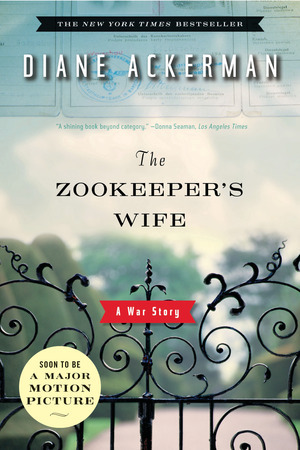 Best-selling naturalist and acclaimed storyteller Diane Ackerman combines extensive research and an exuberant writing style to re-create this fascinating, true-life story—sharing Antonina's life as "the zookeeper's wife," while examining the disturbing obsessions at the core of Nazism. Winner of the 2008 Orion Award. A celebrated storyteller-poet-naturalist explores a year of dawns in her most personal book to date.